I was a regular at the Panda Chinese Cuisine located next door to Bel Air in the Brickyard Center on the corner of Foothills Blvd and Baseline. They abruptly closed their doors over a year ago. Yet, quickly afterwards the "Coming Soon" sign for Jasmine Mongolian BBQ was in the window. Anticipating their opening, I would peak through the windows to see what signs of construction progress I could see. Many months went by and nothing changed. No renovation, no updates posted on the window. Nothing. Yet, the "Coming Soon" sign was still hanging there month after month as if to tantalize. The story behind this opening is one of struggle, hard work, dedication, passion and faith! I had the pleasure of meeting one of the owners, Paul, in the summer of 2018 at a Roseville Chamber of Commerce Luncheon. 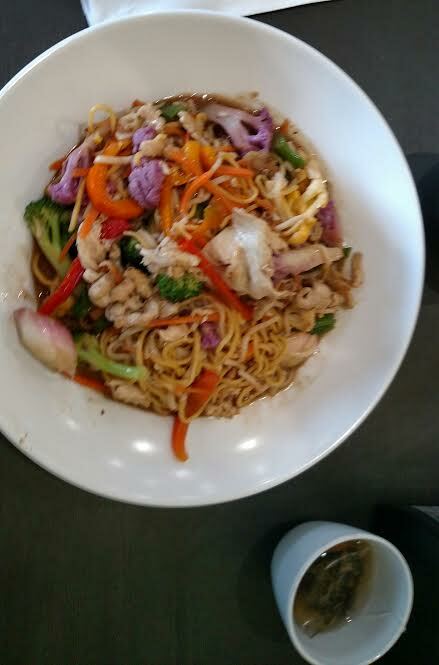 When he mentioned he and his wife were the owners of a new restaurant, Jasmine Mongolian BBQ, I smiled and eagerly asked him for an update, making sure to tell him that I had been monitoring the progress, which there seemed to be none that I could see. He proceeded to tell me that they had to finalize their contract, then there were renovations that had to be completed, permitting, contractors, and the list goes on and on as happens with projects like this one. Fast forward to January, Paul reached out to tell me that they were finally close to opening, final renovations were scheduled and inspections were soon to follow! Although the end design and layout is different than they originally planned, they were elated to have turned this corner. The following week, they received the green light! Opening day was set for Monday, February 18th. With all of the hard work they did to get to this point, I wanted to make sure to support them on their first day of business. As I walked in that day I was pleased to see others enjoying a meal and conversations, the employees hard at work making sure everyone was well taken care of. Paul greeted me with his usual warm smile and came around the counter to give me a hug and thank me for coming in. Maybe because I had been talking to Paul about the details of the project for the past 6 months and knew about all of the roadblocks they had to overcome, I sort of felt vested in their opening in an odd way and was glad I could be one of their first customers. Paul explained that all of their food comes from local sourced farms, the noodles are made fresh daily in their kitchen as are the pot stickers that are included with every order. I was handed a bowl and began to create my meal. I couldn't decide on what type of noodle so I added a bit of both types. I then decided on adding chicken (beef, pork and lamb were also an option) Next, I moved to the vegetables, my favorite part! I threw in some bell peppers, broccoli, cauliflower, and a few other vegetables that I have never seen before. The final stop was the sauce area. I added a small amount of oil and rice vinegar and then topped it off with some soy sauce (they did have other choices but being new at the Mongolian food prep, I didn't want to add something that I wouldn't like so I kept it simple for my first meal). The young lady that was assisting me took my bowl to cook up my creation and gave me a tray with silverware, my drink and my number card to display at my table and invited me to take a seat and she would deliver my meal once it was done. I took a seat toward the wall so I could take a look around while I drank my jasmine tea. I noticed that there were no pictures or artwork on the walls yet and how that didn't matter, Paul was just so happy to have the doors open. Just a few short minutes later, my creation was delivered. It looked delicious and I was anxious to see how I did mixing the ingredients, in particular, the sauces. Bravo! It tasted wonderful! I enjoyed my meal while watching Paul and his employees eagerly assist the customers coming in. I couldn't finish everything so I grabbed a to go box and packed up what would be my lunch for the following day, finished my tea and said my goodbye to Paul and his staff. I will definitely return and next time try some different ingredients and some of the other teas they offer. If you like to patronize locally-owned restaurants, you will want to visit Jasmine Mongolian BBQ and make sure to say hi to Paul. The decor is simple, the furniture functional, nothing fancy but when you are visiting a friends for a meal, those details do not matter. Paul will great you with a warm smile and welcome you to his home away from home. I enjoyed watching Paul personally welcome every customer that walked in the door, the joy on his face and in his heart was evident, he truly appreciated every single customer that took the time to stop in. If you are in the neighborhood, stop in and say hi, and while you are there stay for a meal, you will be glad you did! 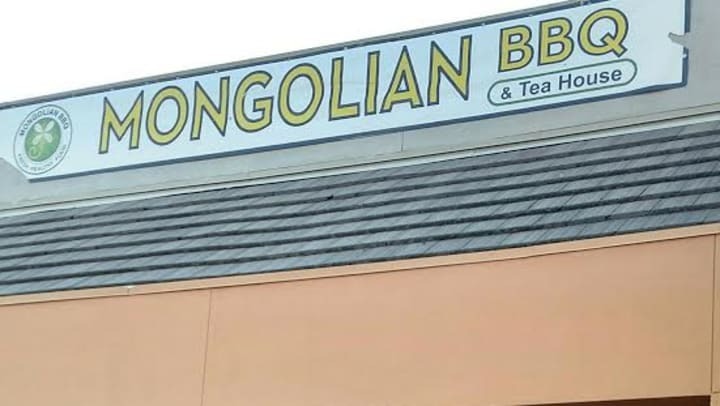 You can find Jasmine Mongolian BBQ next door to Bel Air in the Brickyard Shopping Center at the corner of Foothills Blvd and Baseline or find them online at https://www.jasminemongolianbbq.com.